My Kindergarten students contributed their thoughts on these books. Please read my quick synopsis and their review or take away. All names changed to protect the innocent. Perfect for preschoolers through First grade. Simple and fun, but gives environmentalism a fresh feel. Alex: It teaches you to reuse paper. Arnold: It reminds you to recycle and save a little food. Cara: It makes you learn to clean up the whole earth. 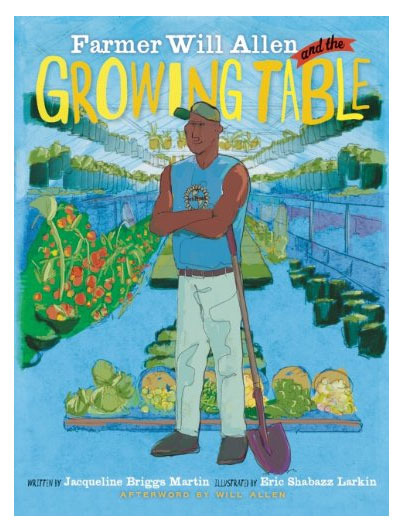 The real life account of a professional basketball player building a community garden in an abandoned city lot. An incredible story. Great for 2-5, but my Kindergarteners were enthralled. 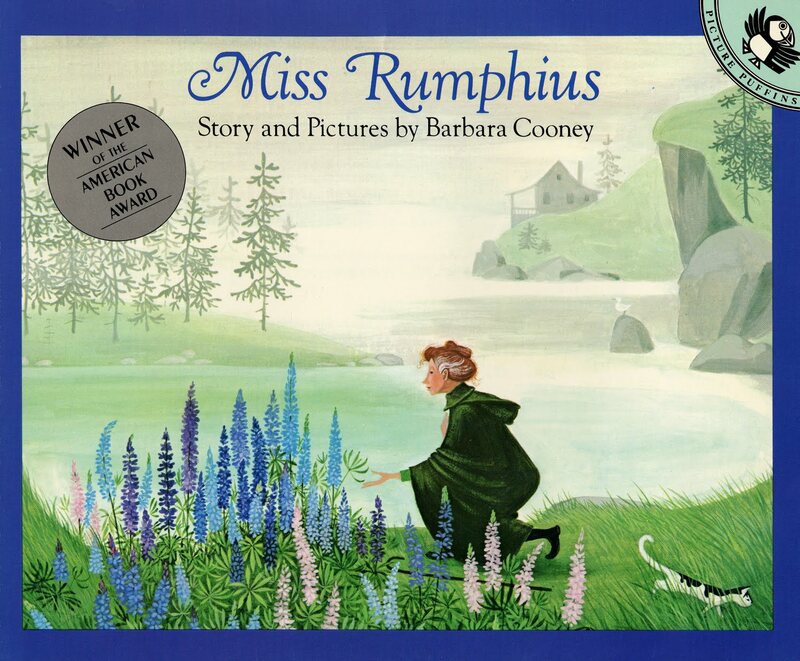 I love this book, the text is simple and beautiful. 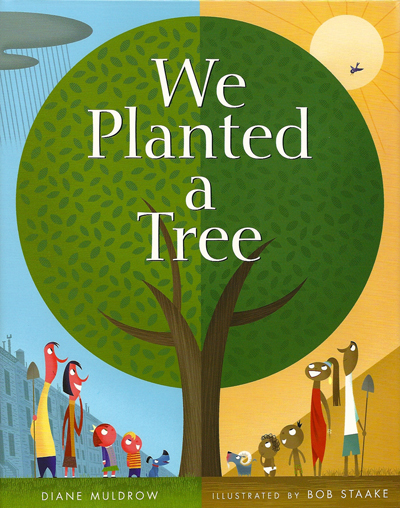 The pictures follow two families on different continents plant a tree. It comes full circle in the end to show how their family grew as well as the tree. My students were enchanted by it. 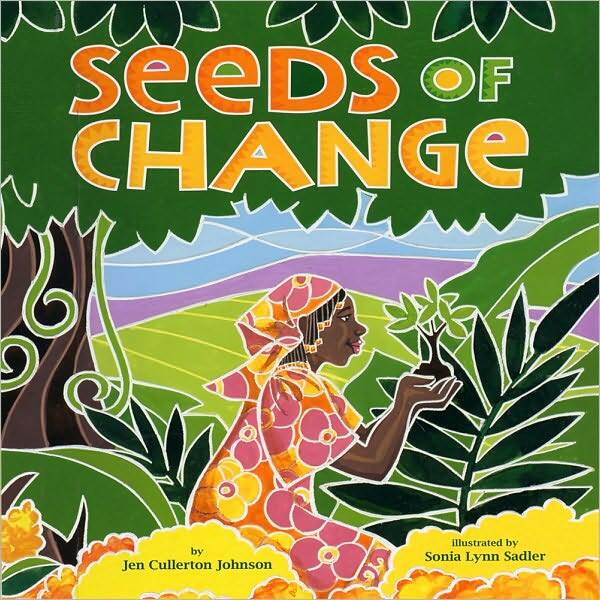 A non-fiction book in story form, it tells the story of Wangari Maathai, the first African American woman and environmentalist to win a Nobel Peace Prize. Simple, repetitive, with a nice beat for preschoolers. It is a guessing game book, so you can make extensions or tie it in with a plant unit easily. Great for early childhood to Kindergarten.l Lesson plans to go with it can be found online. 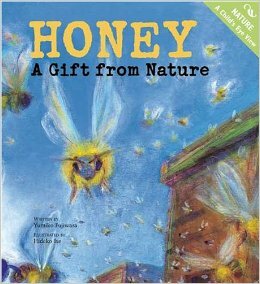 What a wonderful book to show children how bee-keeping works. 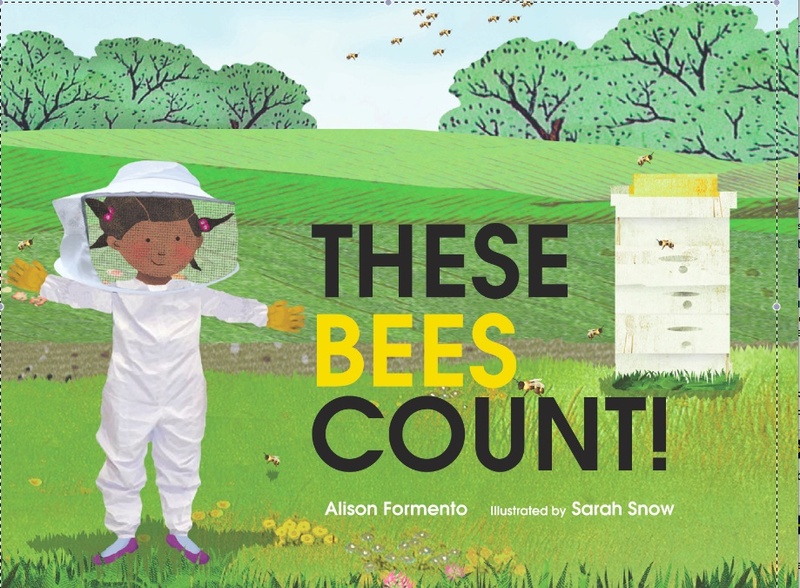 Part counting book and part informational narrative, it is great to show children bees are not to be feared, but cared for. Lesson plans to go with it can be found in a google search. To Purchase this book on Amazon, click here: These Bees Count! 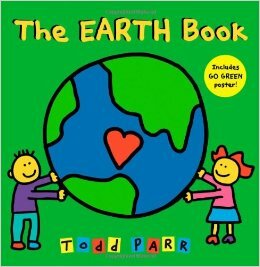 Positively Timeless, it is perfect for young children to help them think about how they can help the world, and perfect for older elementary for the same reason. 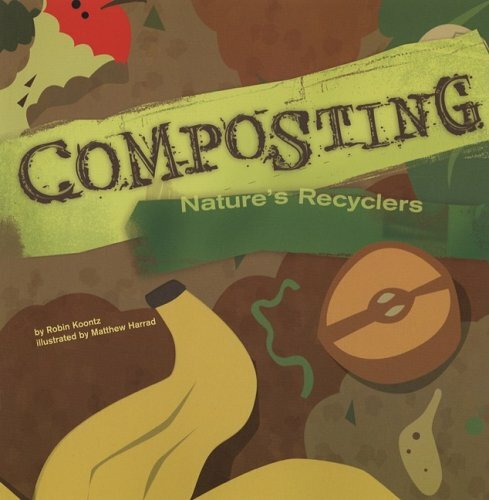 A good book to read out loud every Earth Day. A wonderful book that shows a boy and his father keeping bees and harvesting the honey. A great blend of story and information, with beautiful pictures. A simple but clear and concise book on how ecosystems and decomposing work. Good extensions and experiments to try in the back.